Very few professions connect a community or region like the residential construction and remodeling industry. Long before the foundation is poured and walls are framed, the process of building or remodeling a residence brings together dozens of professionals that contribute individual expertise that ultimately concludes with either a new home or an upgrade to an existing residence. 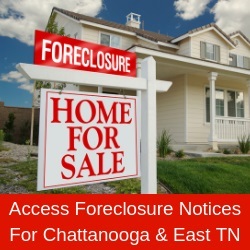 For example, a recent economic impact study conducted by the National Association of Home Builders determined that the estimated one-year local economic impact of building 1,000 single-family homes in Chattanooga produces $192.2 million in local income, $26.5 million in taxes and other revenue for local governments and 2,796 local jobs. In addition, the additional, annually recurring impact of building single-family homes in Chattanooga includes $36.9 million in local income, $13.4 million in taxes and other revenue for local governments and 705 local jobs. Every year. And it doesn’t stop there. HBAGC is proud of its long history of “giving back” to many local and area organizations such as Habitat for Humanity, American Red Cross, Tennessee River Gorge Trust, Hamilton County schools and Chattanooga Area Food Bank and providing scholarships for deserving students who are interested in a career in the construction trades. Through the years, HBAGC has donated tens of thousands of dollars to local and area organizations and institutions so our membership can have a positive and meaningful impact on the lives of those who need a helping hand. Through these contributions, HBAGC is able to be a true community partner in the growth and success of this wonderful place we call home. The next time you drive by a new construction site or remodeling project, take a moment to consider the multiple moving parts, all working together, to grow our community in a responsible and productive way. Whether it’s the person holding the hammer or the family putting the key in the front door for the first time, it’s an amazing experience.